412+ User Votes to help you to find the Best 250cc Bikes in India. All About Best 250cc Bikes in India ✓ Specification ✓ Price ✓ Mileage ✓ Colors ✓ Features ✓ ABS ✓ Comparison. The Indian bike industry is growing at a phenomenal rate. With many manufacturers terming India as their new potential market. The motorcycles lying in the 250cc segment accompanied by lightweight and comfort features are in a huge demand. They are easy to manage and require comparatively lesser maintenance than the high-end bikes. People who are new to street riding prefer a bike on which promises an easier driving experience along with a comfortable & responsive vehicle. How to Decide which bike is best or to buy in this category? Always Don’t go with the pricing factor, features, Design in 250cc category. In This Category Maintenance also plays a major role to decide for which one you have to go. Under 250cc category Check how reliable the machine is and how much you have to pay at every Service, or regular interval to keep the machine in great condition. Resale value is also one more point to check before buy. 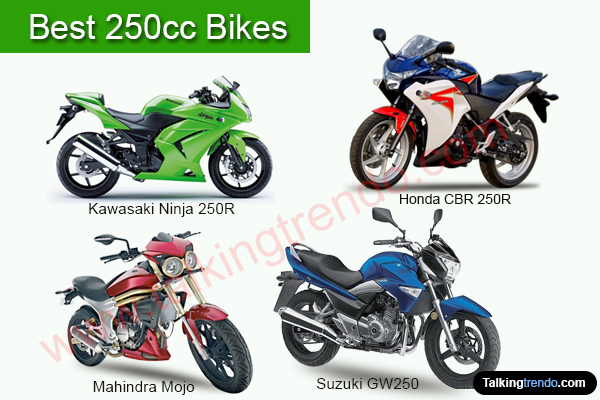 So here is a look on 250cc bikes available in Indian market. 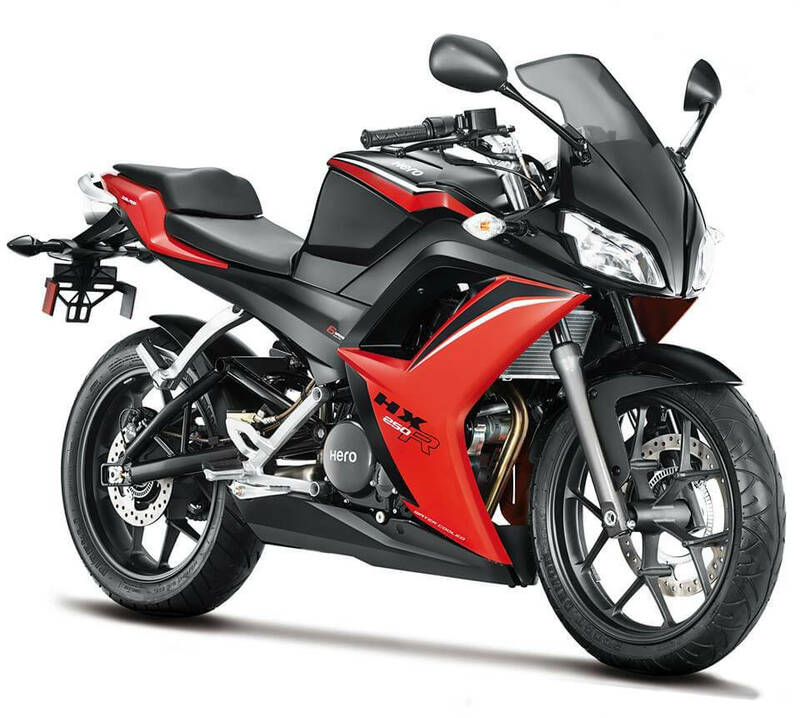 Which is the best 250cc bike in India? *Note: The Rank is based on readers voting. You can also vote to your favorite 250cc bike through the vote section. 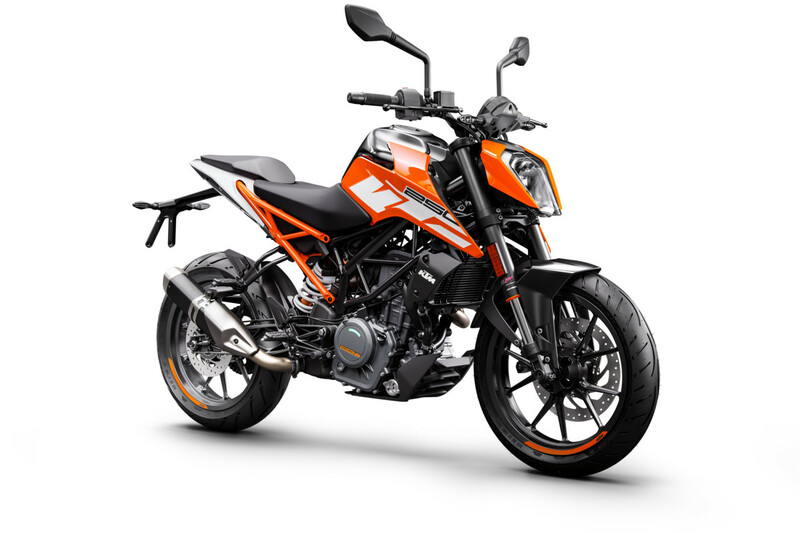 KTM 250 Duke – KTM 250 Duke is the newest addition to the 250cc segment in India. The KTM 250 Duke wins all the points when it comes to styling. The 250cc naked street bike has the best design quotient with sharp edges and aesthetic upgrades. KTM retains all the good elements on the 390 Duke into this model. The KTM 250 Duke is a little ahead of 200 Duke when it comes to design and features. This version of Duke is based on lightweight tubular trellis frame. The exposed trellis sub frame on the model is also impressive. KTM successfully gets the best aerodynamic design which is very edgy and appealing. KTM 250 Duke is powered by a 248.8 cc single cylinder liquid-cooled engine which generates a maximum power of 29.58 Bhp at 9000 rpm and generates a maximum torque of 24 Nm at 7500 rpm. The engine is mated to a 6 speed manual gearbox with a slipper clutch. Braking is managed by a 300mm front and 230mm rear disc brake with Bybre callipers. The bike will get a proper dual-channel Anti-Lock Braking System (ABS). Kawasaki Z250 – The Z250's aggressive street-fighter design is inspired by larger models from the popular Z Series, the Z1000 and new Z800. Its muscular bodywork hints at the bike's performance, while ensuring that the Z250 stands out from the crowd. And the superb level of fit and finish further separates it from ordinary models. The bike is a naked street motorcycle offered by the Japanese manufacturer, which is furnished with premium body styling and an uncompromised ride quality. The bike was introduced in India with the aim to targeting the youth who is looking for a power-packed naked bike at a worthy price. Kawasaki Z250 is powered by a 249cc, liquid-cooled, parallel twin engine which comes linked to a six-speed gearbox. The mill churns out a maximum power of 31.5bhp at 11000 rpm with a peak torque of 21 Nm at 10000 rpm. It is configured with the suspension system, which comprises telescopic forks at the front and bottom link Uni-trak with gas charged mono-shock at the rear end. The fierce stopping power is provided by 290mm single disc brake with twin piston callipers at the front and 220mm disc brake with twin-piston calliper at the rear. Yamaha FZ25 – Recently Yamaha launched the FZ250 in India and finally entered the fairly affordable premium bike segment. It is one of the most attractive bike form Yamaha with high torque and very fuel-efficient engine. It looks like a very stylish naked street bike which keeps LED headlight, all-new alloy wheels and muscular fuel tank. Yamaha FZ25 comes with a fully digital instrument console like as digital speedometer, tachometer, fuel gauge, clock etc. The bike come with Blue Core technology has been claimed to provide an optimum balance between acceleration performance, fuel economy and eco-friendliness. Yamaha FZ25 is powered by 249cc, fuel injected, single-cylinder, Air cooled, 4-stroke, SOHC, 2-valve, Yamaha’s Blue Core technology engine which generates a max power of 20.69 bhp at 8000 rpm and max torque of 20 nm at 6000 rpm. The engine is mated to a 5 speed gearbox. It has front suspension of Telescopic Forks type and rear suspension of MonoShock type. The bike comes with a 282 mm front disc brake with a 2 pot caliper and a 220 mm rear disc brake with a single pot caliper. Honda CBR 250R  – Honda CBR 250R is India's best selling bike in 250cc category, It offer great rideability, all gear acceleration, torque engine which offers high performance in every coniditon. Honda launched the CBR250R in 2018 with optional dual-channel ABS and new graphics. The 2018 model year CBR 250R has two big changes: one, it is now BS4 compliant, and two, there is an LED headlamp. The CBR250R 2018 other features new graphics, sporty cowl, racing muffler, split seat, and grab rail. The rest of the motorcycle stays unchanged other than a tweak to the shape of the headlamp. Honda CBR 250R  is a 249.60cc single-cylinder, 4-stroke, DOHC, BSIV-compliant engine that can produce a max power of 26.15 Bhp and a peak torque of 22.9 Nm. The engine mated to a 6-speed gearbox. Braking is delivered by a 296mm front disc and 220mm rear disc. As always, ABS with CBS will be an option. Honda CBR 250R is the only which is coming with ABS as optional which makes this bike a Safest bikes in all driving conditions. Honda CBR 250R  is avalable in two variants like as CBR 250R STD and Honda CBR 250R ABS. Yamaha Fazer 25 – The Fazer 25 is an entry-level fully faired 250cc sports bike from Yamaha. The Fazer 25 is the faired version of the FZ25. Overall, both the bikes share the same parts. Everything from the tail unit to its handlebar is the same as the FZ25 and the only big difference is the fairing. The Fazer 25 come with headlamp also has two LED pilot lamps positioned on either side. The Fazer 25 sports split seats, dual horns and an LED tail light. The instrument cluster on the Fazer 25 is an LCD unit which displays average fuel economy, trip meters and clock apart from speed and tachometer. Yamaha Fazer 25 is powered by 249cc, fuel injected, single-cylinder, Air cooled, 4-stroke, SOHC, 2-valve, Yamaha’s Blue Core technology engine which generates a max power of 20.69 bhp at 8000 rpm and max torque of 20 nm at 6000 rpm. The engine is mated to a 5 speed gearbox. The Fazer 25 gets a single 282mm front and a 220mm disc brake at the rear. 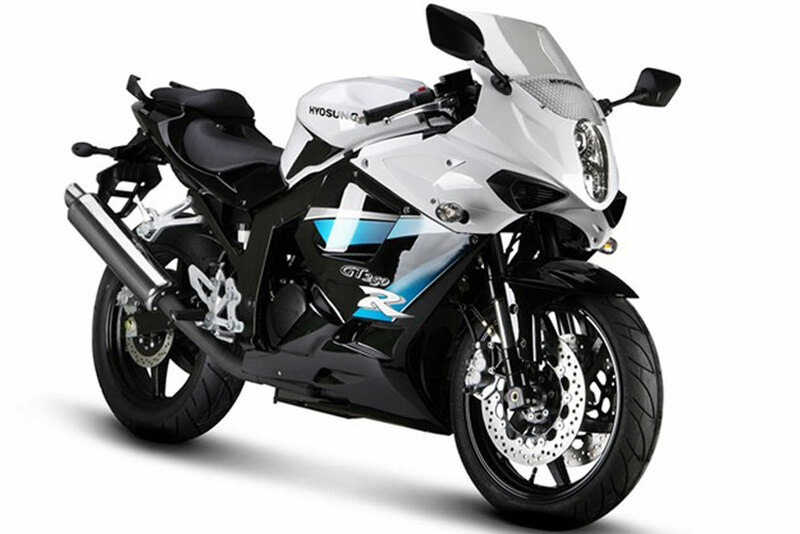 The faired 250cc motorcycle gets a dual-channel Anti-Lock Braking System (ABS) unit. Mleage : N. / A.
Mahindra Mojo XT300 – The original Mojo which has been now renamed as the Mojo XT300. The standard Mojo has been rebranded as the Mojo XT 300, the XT stands for 'Xtreme Tourer'. The new Mojo XT300 come with LED DRLs, a dual exhaust muffler, and dual-tone colour option. The bike is designed to represent the robust spirit of Mahindra two-wheelers along with displaying the stylish and sporty appeal of a dynamic tourer. Mahindra Mojo XT300 gets a distinguished front look owing to its twin-pod headlamp unit and golden painted upside down suspension forks. The premium Mahindra Mojo XT300 has Pirelli Diablo Rosso II tyres. Mahindra Mojo XT300 is the premium variant of the Mojo in the Indian market. Mahindra Mojo XT300 is powered y a 295 cc liquid-cooled, 4-valve, single-cylinder engine with fuel injection. The engine churning out 27 Bhp and 30 Nm of peak torque. The engine is paired to a 6-speed gearbox. The tourer has upside down forks at the front and gas charged monoshock suspension at the rear end. Mahindra Mojo XT300 offers great braking performance owing to its 320 mm front and 240 mm rear disc brakes. Hyosung GT250R – Hyosung GT250R is a full fairing bike and takes most of the styling cues from its elder sibling GT650R. It’s a full size bike with sporty and aggressive looks. Its vertically aligned twin projector lamps forms the headlight of this bike which makes it looks sharp with edgy lines on its front cowl. Its black colored rear view mirrors are also mounted on its cowl while its transparent visor sits right on the top of its headlight. The fatty front forks along with its mudguard and twin disc plates add visual bulk to this bike. Hyosung GT250R is powered by a 250cc V-twin engine which produces 28 Bhp and 22 Nm of torque. The oil-cooled DOHC engine gets electronic fuel injection and is mated to a five-speed gearbox with a wet multiplate clutch. The GT250R is equipped with upside down front forks and a monoshock with preload adjustment at the rear. Adhering to the latest safety norms, it comes with dual-channel ABS as standard for the dual front and a single rear disc. 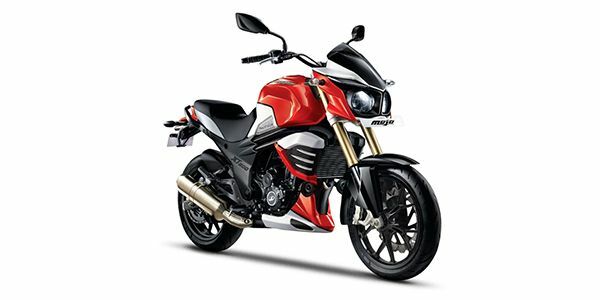 Mahindra Mojo UT300 – Mahindra Two Wheelers finally launched a cheaper variant of the Mojo the new Mojo UT300 in India. Mahindra Mojo UT 300 is based on the original Mojo introduced in 2015, but gets stripped off a few features to make it more affordable than the current model. Mahindra says the new UT badging stands for 'Universal Tourer'. The bike sports 17-inch MRF tyres, semi-digital instrument cluster, a fuel tank of 21 litres, twin-pod headlamp, freshly designed exhaust and gas charged rear shocks. The Mojo UT 300 is all about touring at an affordable price tag. Mahindra Mojo UT300 is powered by a single-cylinder, liquid-cooled, carburetted 294.72cc engine with a max power output of 23.1 Bhp at 7500 rpm and a peak torque of 25.2 Nm at 5500 rpm. The engine is paired to a 6-speed gearbox. The engine remains a liquid-cooled one but ditches the fuel injection in favour of carburettion. Both the wheels of the bike are equipped with disc brakes, 320mm at front and 240mm at the rear. Hyosung Aquila GV250 – The Aquila GV250 is a quarter litre cruiser bike from the company launched at the 2014 Auto Expo. It is the third cruiser from the company’s lineup after the Aquila Pro and the ST7. The Hyosung Aquila GV250 has classic styling which is not very inspiring but still stands out when compared to the single-cylinder Indian motorcycles. The bike is not as heavy as it looks and should be easy to ride in city traffic also. It has got low handle bar, making it a very comfortable motorcycle to ride for long distances. Hyosung Aquila GV250 is powered by a 249cc V-Twin oil cooled engine that churns out 26.21bhp at 95,000 rpm and maximum torque of 21.37 Nm at 7,000 rpm. This engine is mated to a 5-speed gearbox and transfers power to its rear wheel via a chain drive. It gets 16-inch wheels with 110/90 tyre and 15-inch 150/80 tyre at the front and rear respectively. The cruiser features single disc with 2 pistons caliper in the front but gets drum brakes at the rear. Suzuki GSX-250R (Upcoming) – The GSX-250R has been recently unveiled at a press conference in China. It has also done global debut few weeks ago but not launched in India yet. We will update the launch details as and when the company announces to launch in India. It gets a sporty tank, a newly developed swing-arm, clip-on handlebars, raked split seats, edgy tail section, GSX-250R badge, Hayabusa inspired large headlamp unit, a tall windscreen, single exhaust with twin aperture, fully digital instrument cluster and daytime running lamps. Suzuki GSX-250R is powered by a 248cc parallel-twin liquid-cooled engine delivers max power of 24.7 hp at 8000 rpm and torque of 23.3 nm at 6500 rpm. The engine is mated to a six-speed manual transmission. It uses telescopic suspension for the front end and a mono-shock for the rear. 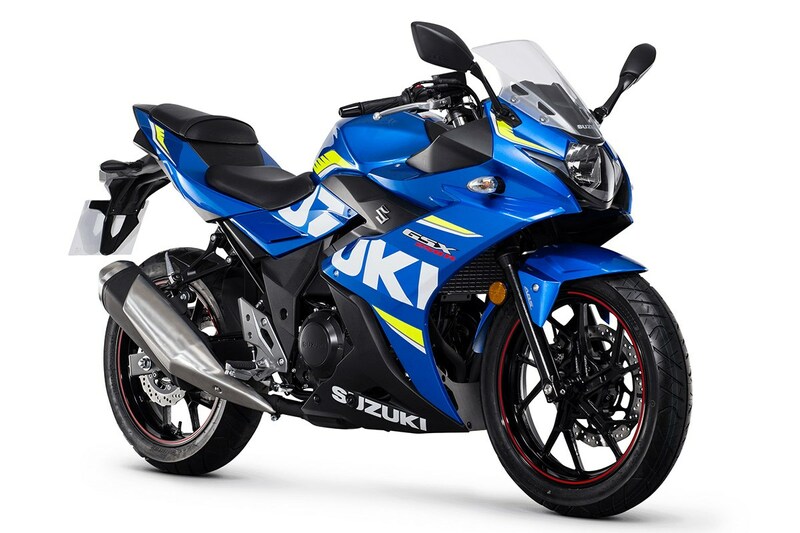 The Suzuki GSX-250R stops with a 290mm disc with a twin-piston caliper in the front and a 240mm disc at the rear. Hero HX250R (Upcoming) – Hero had shocked everyone when it debuted the HX250R earlier this year. The Hero HX250R come with twin multi-reflector LED headlights, front and rear turn indicators, black rear view mirrors, sports bike type positioned handlebar and footrests, Fireblade-like styling, a stylish under-seat exhaust. The bike features two modes like as eco and power. Eco mode will give less performance and more fuel efficiency whereas the power mode gives the max performance. Hero HX250R is powered by a 249cc four-stroke single cylinder liquid cooled engine that churns out 31 Bhp and peak torque of 26 Nm. This engine is mated to a six-speed manual transmission with optimized ration selection. It is equipped with an advanced multi-sensor fuelling system to deliver optimal fuelling. The stopping force comes from a 300mm disc at front and 220mm discs at the rear. The hydraulic calipers have been designed by Brembo with combined brakes and optional ABS. Tyres : Front – 110/80R-17 Unidirectional tubeless tyre, Rear – 140/70R-17 Unidirectional tubeless tyre. Hyosung GD250R (Upcoming) – The Hyosung GD250R was showcased in the Auto Expo. The GD250N makes an impression of the best looking motorcycle the company has ever built. The best part of the bike comes here when we see the engine part. The bike gets split seats with the rider seat positioned lowered. A narrow tail section, split grab rail, sleek and compact LED taillight, underbody exhaust muzzle are the other design elements of the bike. The Hyosung GD250R comes as a faired aggressive looking sportsbike and promising a high performance. Hyosung GD250R is powered by a 249 cc, single cylinder liquid-cooled, fuel-injected engine that producing 27.6 Bhp at 9500 rpm of power and 24.17 Nm at 7000 rpm of torque. The engine is mated to a 6-speed gearbox. For braking duty, the Hyosung GD250R gets a 300 mm petal single disc brake and a 230 mm petal single disc brake as well. 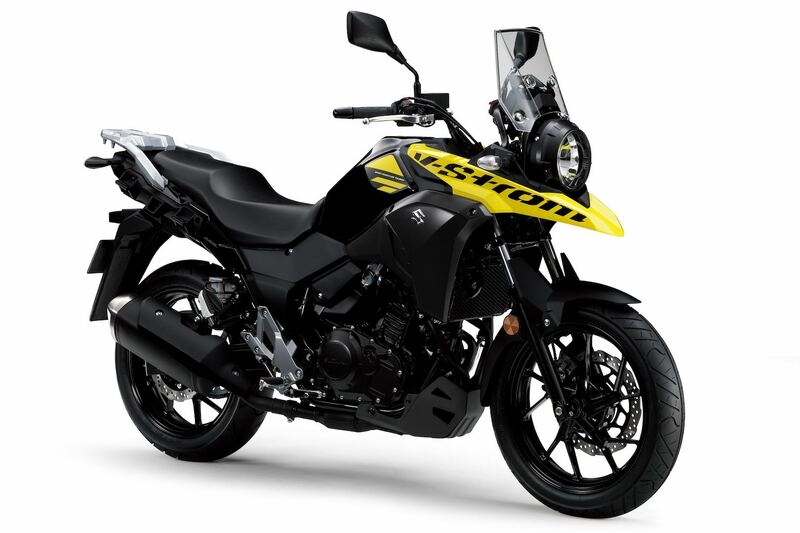 Suzuki V-Strom 250 (Upcoming) – Suzuki planning to launch it's adventure tourer bikes by the name Suzuki V-Strom 250 which is inspired from the company’s first entry-level adventure bike the V-Strom 1000. Initially, the bike will be launched in the Japanese market and the company is yet to make an official statement whether the bike would come to India or not but is expected to go on sale in the country to the end of 2017. Suzuki V-Strom is powered by a 248cc four-cylinder liquid-cooled SOHC parallel-twin engine that churns out a maximum power output of 24.7 Bhp at 8000 rpm and a peak torque of 23.38 Nm at 6500 rpm. The V-Strom 250 motorcycle will be brought to India as CKD kit, and will be locally assembled at the company’s Gurgaon based plant. Kawasaki Ninja 250R (Discontinued) – Kawasaki Ninja 250R is the world best seller in 250cc category. World famous for its Unique Green Color. 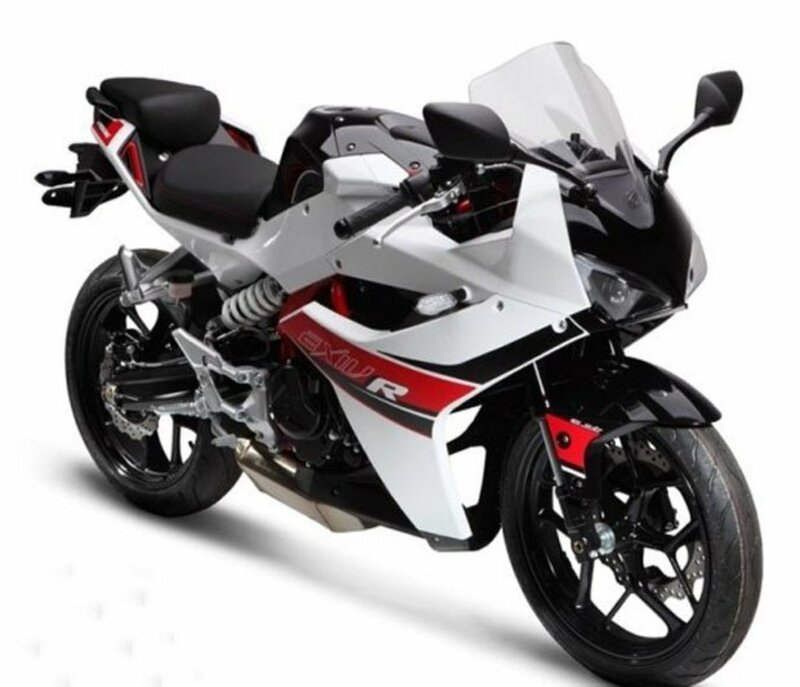 Bike offers Great Stability, Performance, Twin Cylinder Engine, Engine which loves to Redlining in Every Gear. But After a 300 parellel twin younger Brother in the form of NINJA 300R Kawasaki Discontinued Ninja 250R in all world including India. 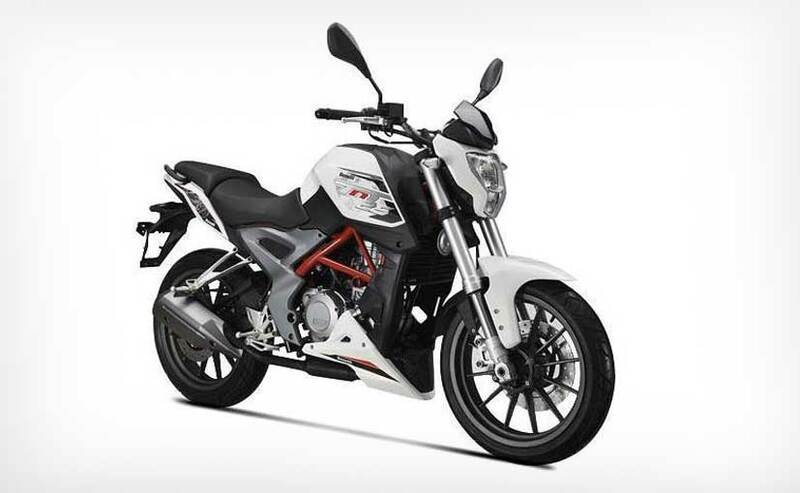 Benelli TNT 25 (Discontinued) – The Italian bike manufacturer company Benelli with its partner DSK has finally lunched much awaited 250cc bike TNT 25 in India. It is the most affordable entry-level performance bike form the company. The bike is the company’s first machine to the Indian lineup that house a single cylinder engine and assembled locally via completely Knocked Down (CKD) units. the bike is available in two shades White and Red. The bike come with a quintessential streetfighter styling cues like sculpted bodywork, a muscular fuel tank, exposed frame and a vertically stacked headlamp. The TNT 25 is powered by a 249cc, single cylinder, 4-stroke engine but breaking system is not equipped with ABS. Suzuki Inazuma 250 (Discontinued) – Suzuki Inazuma 250 a bike shows a very low new homes in India because of irrelevent Pricing. 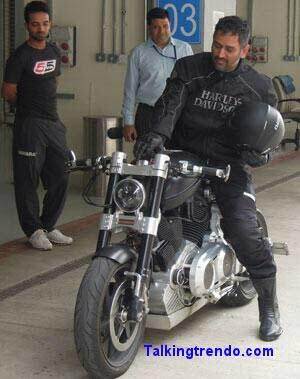 Price starts from 3 lakh makes this bike out of reach. Inazuma 250 offers highly comfortable experience to its riders because of seating position, Highly capable twin engine which makes around 26 bhp of odd power. After the low response suzuki discontinued this bike in India.